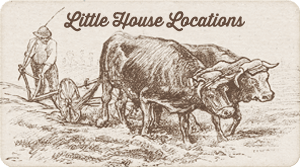 The Little House books tell of the life of Laura Ingalls Wilder as she grew up in the Midwest during a time of pioneering expansion and exploration. These beloved children’s books were made even more popular by the “Little House on the Prairie” television series. Baby Carrie wrapped in a quilt in the “Little House on the Prairie” pilot. Children and adults alike continue to be fascinated by the engaging tale of what life was like during the pioneer era. In an age when people had to make do to survive, quilting played a natural and vital role. 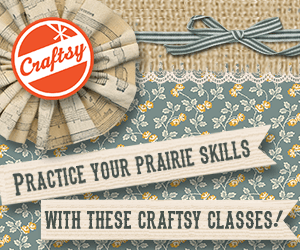 Sewing skills in general were important in the lives of women on the prairie. Caroline Ingalls understood the importance of teaching her children to sew. In a time before central heating, when a warm home in the winter might only be 55 degrees, having a large number of quilts was a matter of survival. Quilts were not only used for bedding, but they were also hung in windows and doorways to block drafts. They were hung from ropes to create ‘divisions’ in an otherwise one-room cabin, providing privacy in cramped quarters. They were also used as padding to protect precious belongings when traveling cross country. 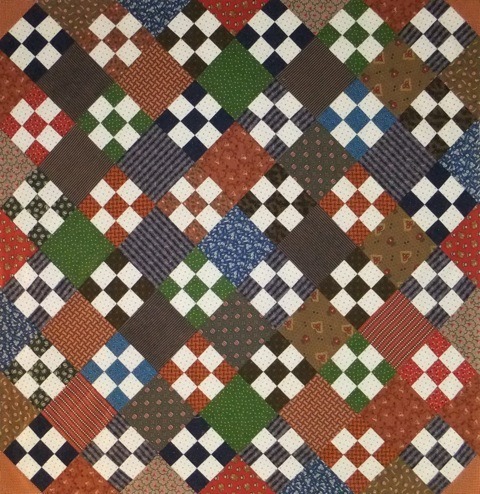 A “Chimney Sweep” pattern quilt hangs in the Ingalls log cabin. From the “Little House on the Prairie” pilot. Caroline’s marriage in 1860 coincided with the start of the Civil War. Fabric production was put on hold while wartime needs were met. As precious bits of fabric, batting, and even thread were used to supply soldiers, the style of quilting changed to reflect the limited resources available. Whereas quilts of the 1850s were made of store-bought fabric, quilts of wartime America were made of precious scraps and recycled, worn clothing. 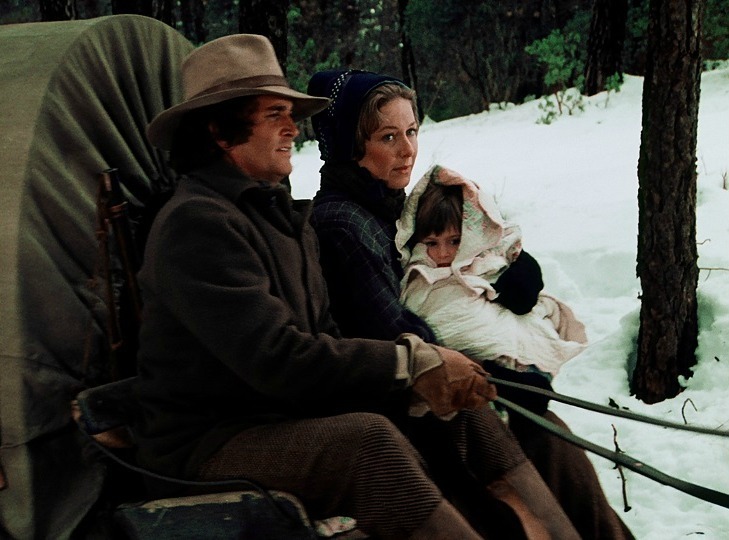 By the time Mary and Laura were born in 1865 and 1867, not only had the War just ended, but Charles and Caroline were living in the wilderness. Trips to town were far and few between, and reserved for necessities. When clothing could no longer be cut down and remade, the fabric was then recycled into quilts. Pieces that were too tiny to be a piece of patchwork were sewn together to make a piece large enough to become usable in patchwork. Quilts, very basically, are textile sandwiches, made up of a top layer, which is patterned, either by attaching shapes on top of a background fabric by a technique called appliqué, or by sewing together geometric shapes of fabric to create a new cloth, which is called patchwork. The middle layer of the sandwich is the batting, and the bottom layer is the backing of the quilt. Youngsters were taught to sew from the time they could hold a needle, sometimes as early as 3 or 4 years old. Popular patterns for children had simple designs that used squares as their main component, such as the Nine Patch. This is a pattern Laura talks of making, and one Mary was able to work with even after losing her sight. Once basic sewing skills were mastered, other more complicated patterns could be made. Laura talks of making a Bear’s Paw quilt. The bias edges of the triangles, as shown in this Bear’s Paw block, made it a trickier block to sew. It was a challenge to keep the seams smooth and neat. 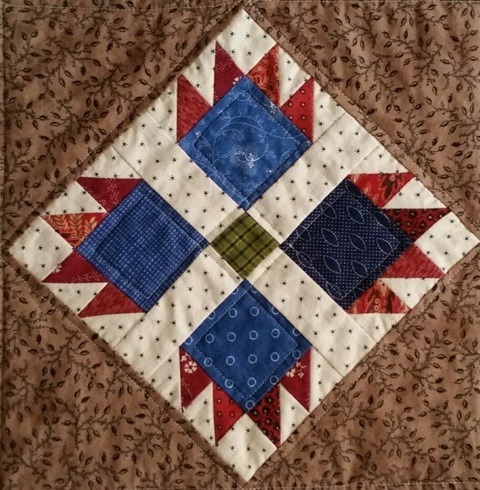 A Bear’s Paw Quilt Block from Linda Halpin. Colors of the day were typically those made with natural dyes, like the dyes described in this How to Create Green Dye post. Gradually, colors made with synthetic dyes that were colorfast, became more readily available, and fabrics became more colorful. 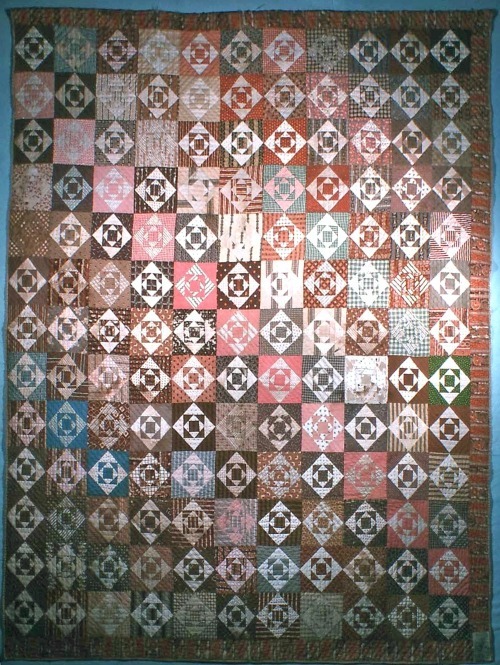 An example of using natural dyes in a quilt. Quilts of the 1870s were typically what we would call scrap quilts today. Patterns were distributed through ladies magazines, often with no instructions. Because it was expected that women would know how to sew and how to fit pieces together, magazines often only showed a drawing of what was called “a patchwork block”. In Laura’s youth, patterns were more often referred to in general terms. It wasn’t until quilt patterns were sold in mail-order catalogs of the 1890s that patterns were given individual names, and Laura’s reference to patterns by name is likely a result of her writing about the patterns many years later. Maple Leaf: a variation of a Nine Patch Pattern. 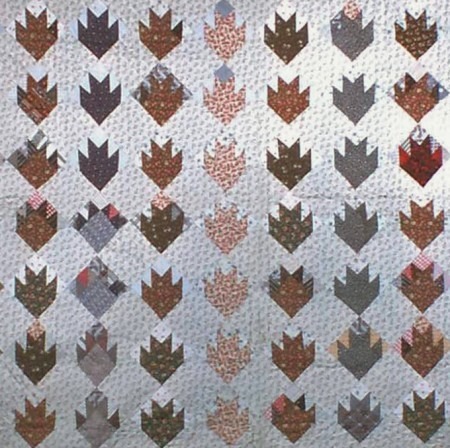 So while it has been long assumed that the Nine Patch quilts Laura speaks of were simply 9 squares sewn together, they may in fact have been many different patterns such as the Maple Leaf pattern above. Or even a Nine Patch variation. We may never know. Nine Patch Variation: Block is divided into 9 unequal segments. The sewing skills Caroline passed on to her children served them well. Laura wrote of having to redo stitching that did not meet with Ma’s approval. Caroline’s demand for perfection instilled a sense of pride and accomplishment in her children that carried over into other areas of their lives. 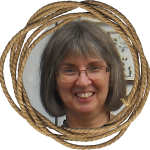 While sewing was not Ma’s favorite chore, nor was it Laura’s, there were several times that Laura ‘hired out’ to work for seamstresses in town. Through her sewing skills, she was able to contribute money to help send Mary to college. And after the hardships endured by Almanzo and Laura in the early years of their marriage, she once again turned to sewing, using the money she earned to make a down payment on the 40 acres they bought in Mansfield, Missouri that became Rocky Ridge Farm. 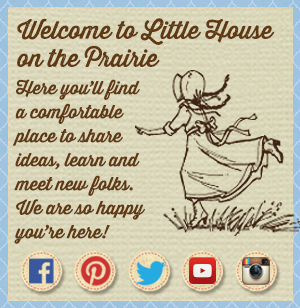 Little House on the Prairie® Quilt Fabrics Brought to Life! Now, these many years after Laura’s stories were saved for those of us who treasure them so, she continues to fire our imagination. 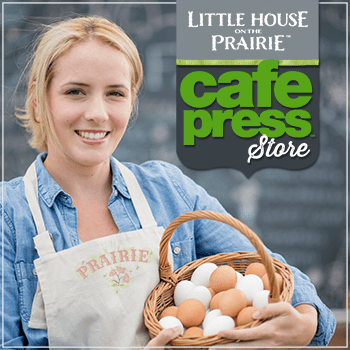 In October of 2015, Andover Fabrics introduced three lines of Little House on the Prairie® fabrics. 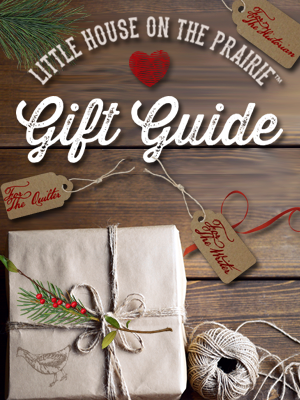 Walnut Grove: Named for the town in Minnesota where Laura’s family settled in 1874, the Walnut Grove collection features prints from the era that their quilts would have been made from. Prairie Flowers: The quilts of the Little House on the Prairie TV show feature bold, bright prints that gave the show its life and color. The Prairie Flowers collection is a rainbow wave of calicos, inspired by the TV quilts. Scenics and Icons: Inspired by the illustrations found in the novels, this collection features iconic imagery such as the running girl, wagon, little cabin, and the majestic scenery. This is a natural finish fabric, paying homage to the rustic roots of Laura’s stories. 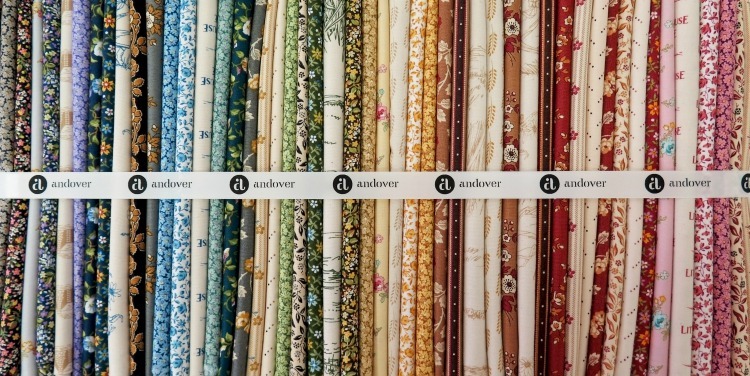 A sneak peek at Andover Fabric’s new Little House on the Prairie® fabric collection. Many of these fabrics have been sold out. A few of the fabrics are still available to purchase online at Fat Quarter Shop. In 2015, Andover Fabrics invited me to create a quilt using fabric from their newly released fabric lines inspired by Little House on the Prairie. Using fabric from all three lines and blocks from my book Quilting with Laura, I created Little House Sampler. 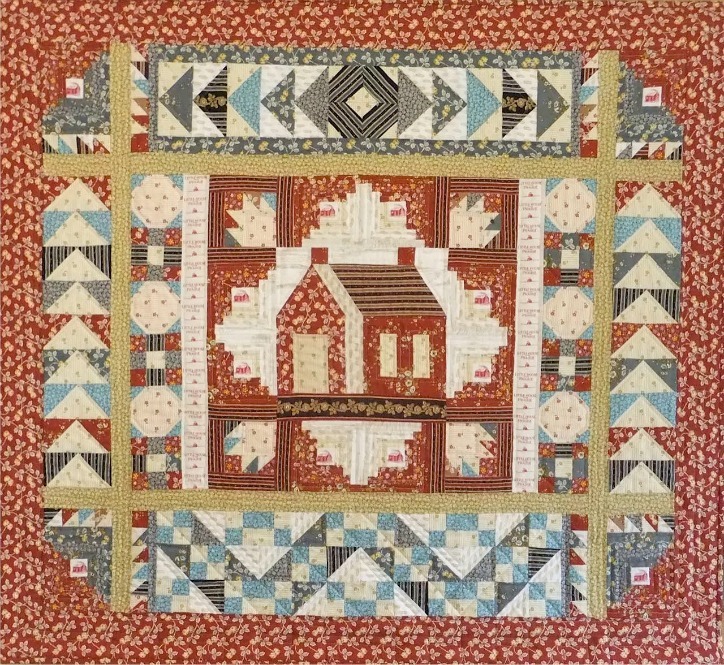 LINDA HALPIN’S QUILT USING ONE OF ANDOVER’S LITTLE HOUSE ON THE PRAIRIE® FABRIC COLLECTIONS. 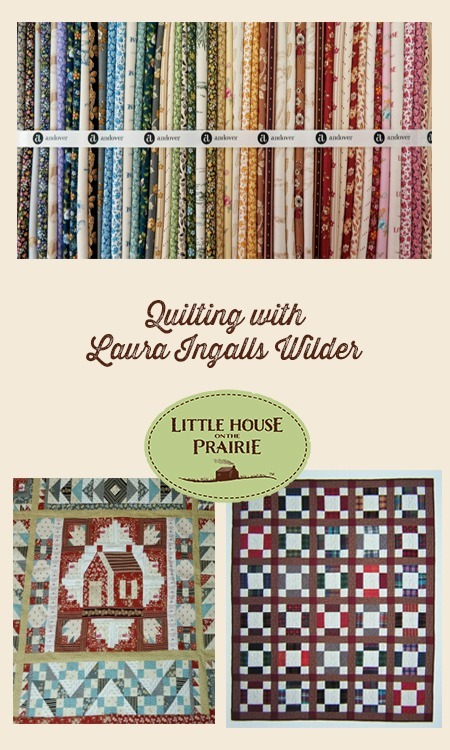 The Little House Sampler pattern is a 22-page booklet containing directions for nine patchwork blocks that tell the story of Laura Ingalls Wilder’s Little House adventures. 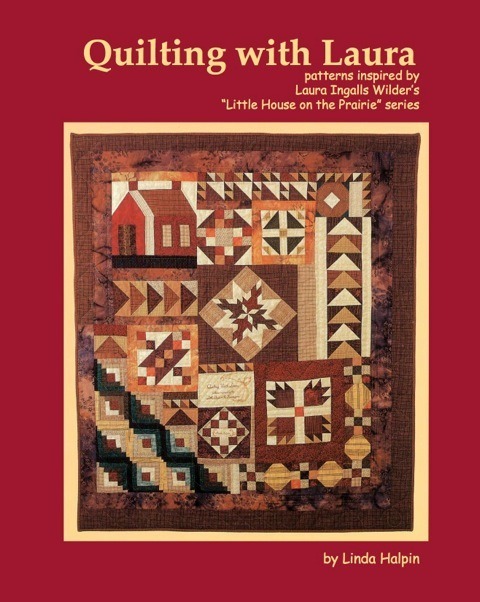 Whereas Quilting with Laura is geared towards hand piecing, the Little House Sampler pattern uses all machine piecing techniques. The booklet includes a color photo of the quilt, as well as full-size templates for the blocks constructed from templates. Non-template blocks are constructed with precision machine piecing techniques. The detailed directions include step by step colored illustrations, making it good for all levels of quiltmaking experience, from the beginner to the advanced stitcher. If you too would like to design your own Laura quilt, please visit my website to check out and order my book Quilting with Laura or my new pattern. Pick and choose which blocks will tell your story! Do you have a favorite quilt memory? Be sure to share your stories in the comment section below and subscribe to the free newsletter for fabric and craft updates. I too would like to learn how to quilt. How can I get started? I’m not an accomplished seamstress by any means, but I do enjoy making simple home projects such as an apron and pillows for the sofa. One of the best resources is free…Youtube! I have learned so much form Jenny Doan as well. Try to start small with quilted placemats or a baby size quilt. And don’t go for perfect, just enjoy the process. Good project. І wilⅼ check it ouut lafer bbecause і am contemplating makiung onee іn ⅾoing myy self. to sew оr crochet sіnce i һave leisure timе. I am teaching sewing to a 6th grade class and we will make a simple quilt. Which of the books should I have on hand to read a bit from during each class? I’d like whichever book has the most reference to sewing and quilting. My favorite quilt pattern is a Frienspdship quilt square. I inherited four that my great great grandmother made for my grandmother when she turned a year old. These were made in 1896. Three are dark blue and muslin and one is pink, Bubble Gum Pink, and muslin. Babies wore only white back then but when they turned a year old, they got their first colored clothing. I’ve recreated four and plan on a quilt. The other favorite square block is one I created be accident. I had five inch squares, four light, four dark. I planned on making a traditional pattern, but sewed the centers diagonally in the center rather than 1/4″ on each side of the center. Then I thought of cutting those diagonally in the opposite direction. I wound up with two diamond shapes, diagonal corners and light stops to set the diamonds within. I call that block, Diamonds in the Rough, aka, Blue diamonds and White diamonds. 1984, we took our daughters, othe oldest was a fan of Little House on the Prairie. I got a quilt pattern there of ladies in hats. By the drawings of the ladies, would be about c. 1920’s. I think Laura made it for Rose, not sure on that. 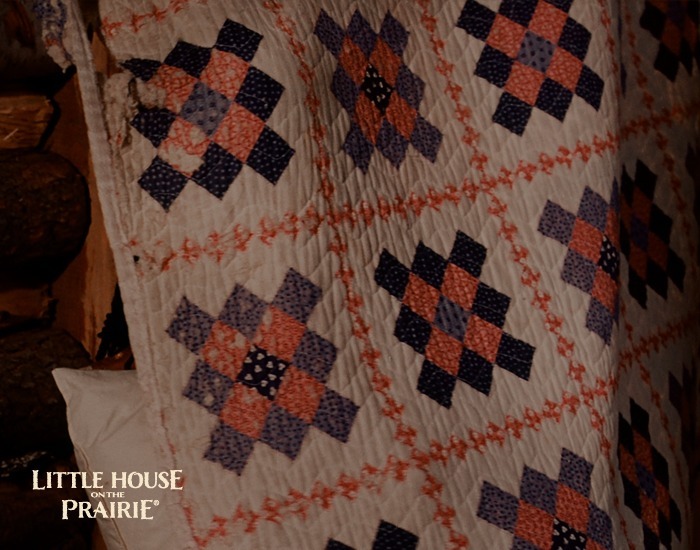 We just returned from Walnut Grove and De Smet, but neither place had this particular quilt pattern. I still have mine but have yet to complete it. I need to edit the above, but meant to say: in 1984, we took our daughters to Mansfield, MO. The other edit should read: “diagonal corners and light strips” not “stops”. Above, I wrote about the Friendship quilt square. It is a variation of The Chimney Sweep in the first picture. The difference is the center is one strip of white or muslin. These were originally designed in 1850. Towns ladies would each make a square and sign that center muslin. These were then made into a quilt for a family moving away for the wife so she wouldn’t forget her friends. 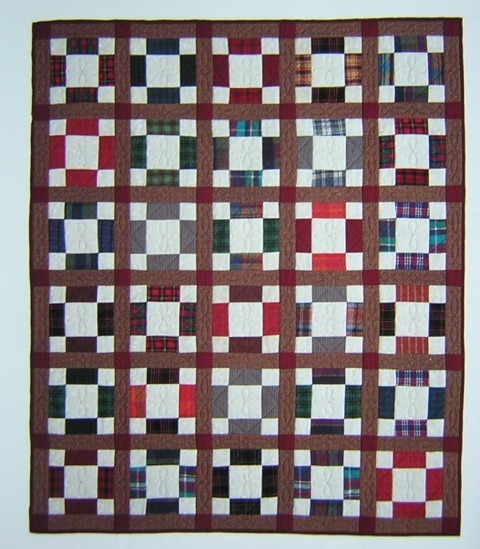 Am looking to make the Chimney Sweep quilt but unable to find that pattern for the quilt pictured. Any help would be appreciated. I’d like to know more about the family sewing machine. who made it? which model was it? does anyone have pictures? a fan, vintage sewing machine collector, and quilter.